Starting At $134.00 + Free Shipping! 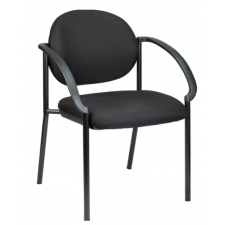 Easy assembly makes the Eurotech Dakota Fabric Guest Chair w/ Arms an ideal option for your waiting room or for guests in your meetings to have places to sit. 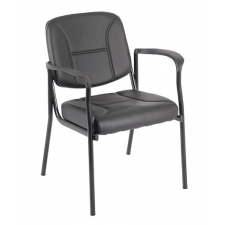 The padded seat and back will ensure that even if customers have to wait, they will be doing so in a comfortable way that is sure to make the time fly by. 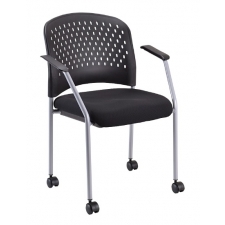 This model includes armrests that add support and comfort. These chairs are so sturdy that they can hold up to 250 pounds. 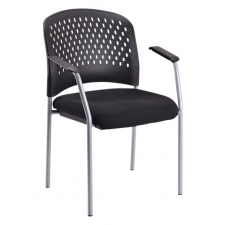 Add this acclaimed chair to your office today.